Bonjour. Welcome to the 340th edition of Tranquility du Jour with Shannon Ables. Be inspired by the simply luxurious life—a dash of style, minimalism, and mindfulness. 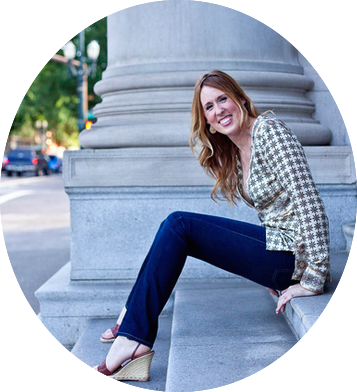 Featured Guest: Shannon Ables is the founder and editor of the internationally enjoyed lifestyle blog The Simply Luxurious Life which inspired her first book Choosing The Simply Luxurious Life: A Modern Woman’s Guide. As a contributor to House Beautiful, JNSQ, Laura U Mag and Docica, Shannon has also worked with Buick to launch their first compact luxury vehicle – Encore in keeping with the spirit of all things simply luxurious. When she’s not writing, traveling or exploring new ways to live simply luxuriously, she teaches high school English and social sciences where she lives in Oregon with her two spaniels. Listeners can also tune in to her weekly podcast The Simple Sophisticate each Monday morning. Eye candy on Instagram @tranquilitydujour. Receive weekly Tranquility du Jour Love Notes. Pen a review on iTunes.